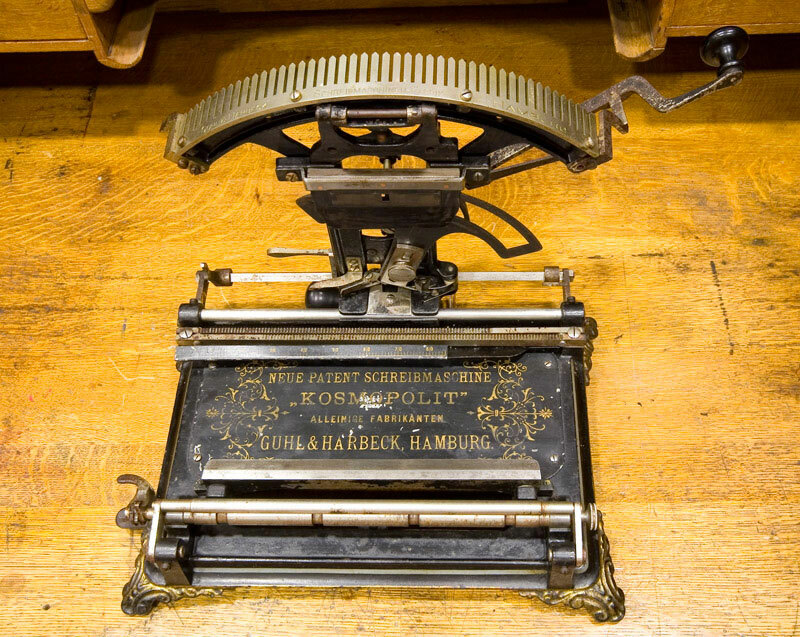 The company was founded by Heinrich Hermann Guhl (1842-1918) and Christian Friedrich Harbeck in 1867. 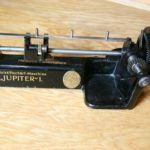 Production started with sewing machines. The company became one of the leading manufacturers in Germany. When Harbeck died in 1898, took Guhl over the company. 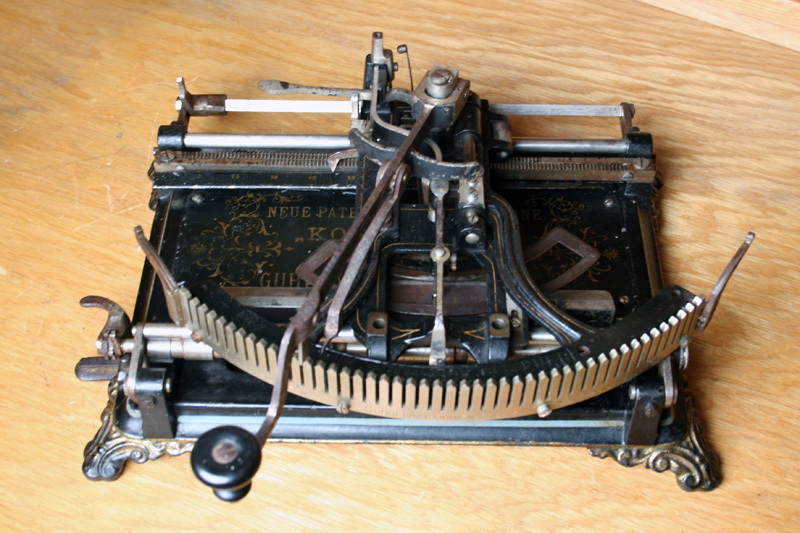 The first typewriter on the market was Hammonia in 1882. The inventor was Andreas Hansen. 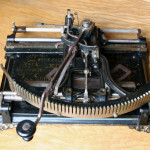 Hammonia was the first typewriter made in Germany. Kosmopolit was introduced in 1888. 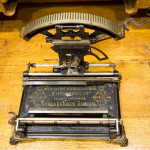 This linear index typewriter was not intended for fast writing, but to produce quality writing like printing. 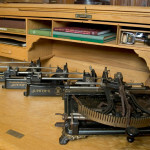 Kosmopolit included keyboards for several languages. Kosmopolit is hard to find today and is highly regarded among museums and collectors. Production stopped around 1903. 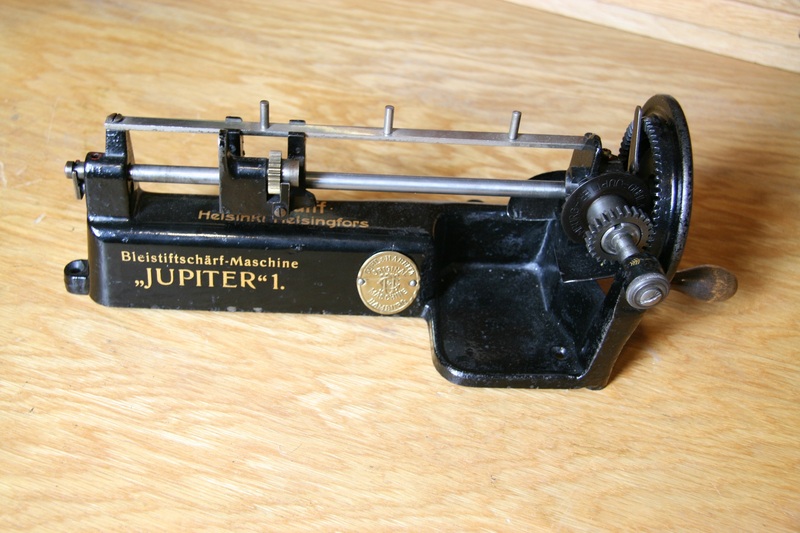 After production of typewriters ceased the company continued producing pen sharpeners named Jupiter. 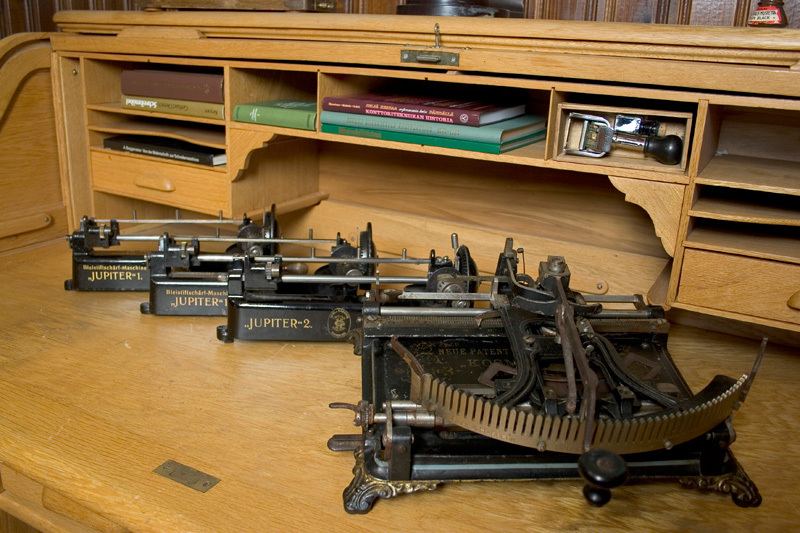 The first pen sharpener was introduced in 1905. The family owned company was dismantled in 1970.